Helene dedicated her sculpture to her missed dog. 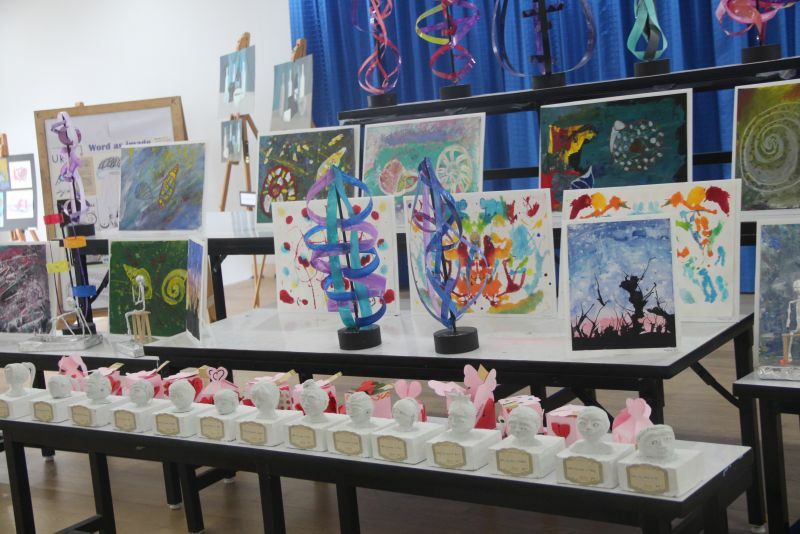 On June 17, Kajonkiet International School held its annual student art exhibition, where students exhibited sculptures, drawings, paintings and more to the delight of peers, parents and teachers. The Phuket News took a walk around, and sat down with a few of the teachers and some of the students to find out more. Ms Ledwick of the KIS Art Department explained that the exhibition featured selected works from some secondary students – Keystage 3 and 4 – in addition to sculptures from all the school’s primary students. “I personally selected and kept the best secondary students’ art throughout the year for the exhibition, to complement the primary students sculptures,” she noted. Keystage 2 Phase leader Ms Carter says that it was a good decision to integrate art from the whole school. “It gave students a chance to see and compare art from their peers and you could really see the development the older you get,” she said. Next we spoke with some students about their reflections. 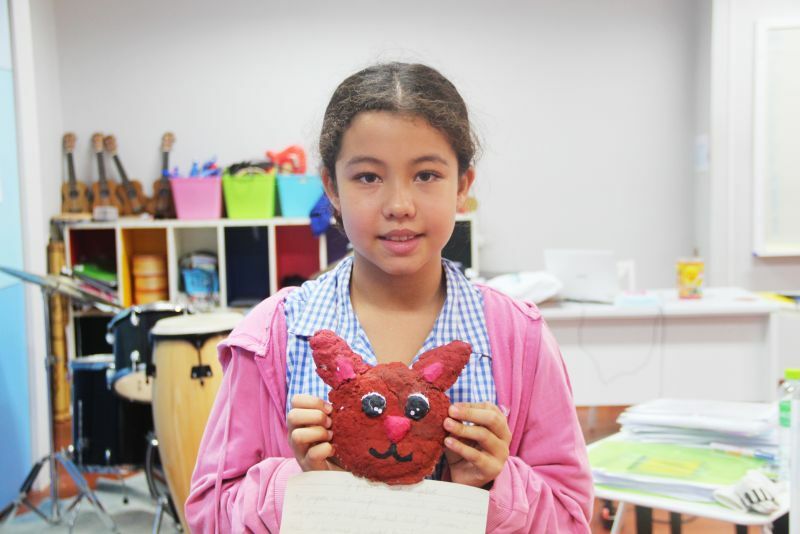 Helene, a Year Four student, explained that her class had focused on three types of sculpting medium for the past six weeks: papier mâché, steel wire and plaster of Paris. It was the first time Helene learned about sculpting with steel wire and plaster of Paris, but not papier mâché. 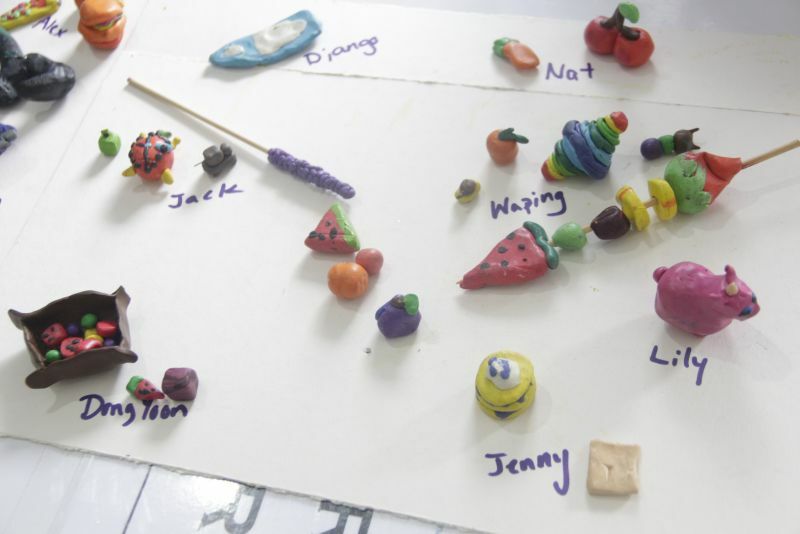 “Making the moulds for plaster of Paris was rather difficult and took lots of patience,” she said, adding that her class used playdough to make the moulds. Asked which medium she was most fond of, she replied papier mâché, showing me her latest work, “Sisi”. “I made this for my dog, who passed away recently. He was very old and got cancer,” she revealed. Indeed, sculpting proved to be an effective and positive way for Helene to channel her pain and grief. Year Six Dylan agreed that patience is needed to do superb art. “Art is not as easy as I thought it would be. It never goes the way you think it will in your mind,” he said, showing me his replicated computer. “I was inspired to make this because I’ve had so much fun and learned so much on the computer this year, especially on this program called Scratch,” he explained. Inside the computer monitor box is a scene from the programming application for which Dylan is so enthusiastic about. Indeed, not only is art effective at channeling emotion, but a great way to express inspiration as well. Another unique feature of his project was the use of recycled materials. His exhibit included two cereal boxes, a bit of cardboard and two big ice cream sticks. Year Five students Claudia, Valeria, Chaoying and Lily showed me their gigantic papier mâché models of fruit, including a banana, pineapple, durian and grapes. “These fruits are going to be used as props in the school play, The Jungle Book, on June 25,” explained Claudia and Lily in sync. Valeria echoed her peers on the value of patience in the process. “Not only patience, but carefulness too. If things don’t go how you meant, you just got to go with it and carry on,” she stated. Now that they have got some experience in art, the girls look forward to creating more sculptures in the future. Valeria and Chaoying want to make a dog, Lily a tree, and Claudia a dolphin.